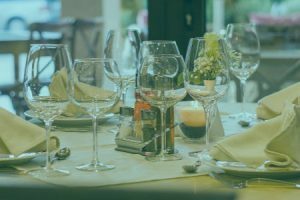 On October 31st 2018, Shire attended the annual Leasing World Awards. The awards ceremony is highly regarded in the B2B asset finance industry and recognises various achievements of the winners. After winning awards at the event two years in a row, members of Shire’s team arrived at the event in London with high optimism. Shire Leasing was nominated for two awards; ‘Independent Lessor of the Year’ and ‘Innovator of the Year’. After much anticipation, Shire was awarded with ‘Innovator of the Year’ for the second time in 3 years. 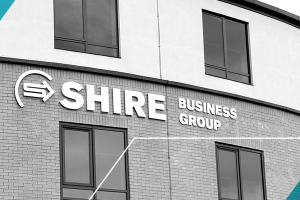 Shire strive to provide their approved equipment suppliers with a market-leading portfolio of fintech, helping sales teams to maximise finance sales opportunities through tools such as Quick Quote and Shire Online. But for many of the larger or blue-chip businesses that already have their own in-house systems and applications, selling on finance can mean a difficult change of business processes and shift in culture. The Innovator of the Year award was received in recognition of a complex API project that has been developed, allowing Shire’s systems to be integrated seamlessly into supplier’s existing I.T. systems and applications; a ground-breaking move in the asset finance industry which provides electronic end to end processing for suppliers to fully process a finance application from within their own platforms. The API integrations, coupled with efficient, automated processes, allow high volume sales suppliers to reduce the time spent submitting information to Shire. Instead, they can spend more of their time focusing on the customer’s requirements and closing the sale. The award is testament to the innovation at Shire Leasing, a key value that is rooted within the company and the basis for previous industry breakthroughs, such as record-breaking auto-decision speeds and advanced e-signatory processes. Find out more about how your business can benefit from the innovation and sales tools that are available to B2B equipment suppliers. Shire Leasing Plc Nominated For Three Leasing World Awards!